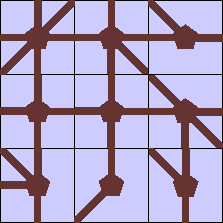 No tile may be placed such that a (brown) connection points directly at another tile that isn't pointing back. 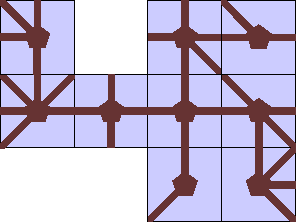 Note that it is possible to have a connection pointing at "nothing" (on the edge of the polyomino), but if it points at another tile, then that tile must have a connection pointing back. 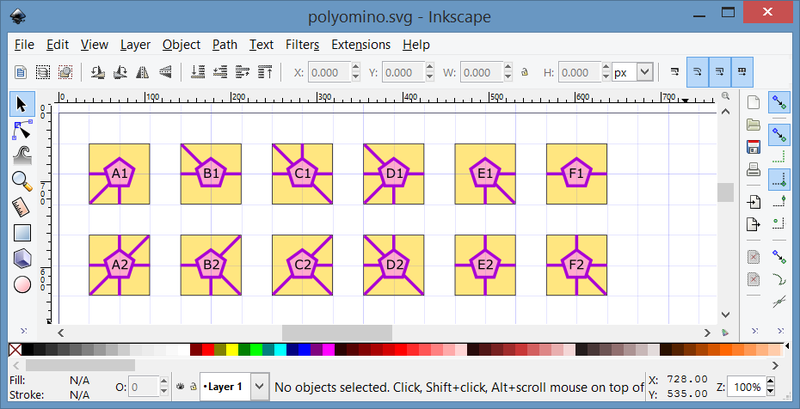 Dissect the polyomino (however you wish) into smaller rectangles such that each tile is part of exactly one such rectangle. The number of inner edges in these rectangles - i.e. 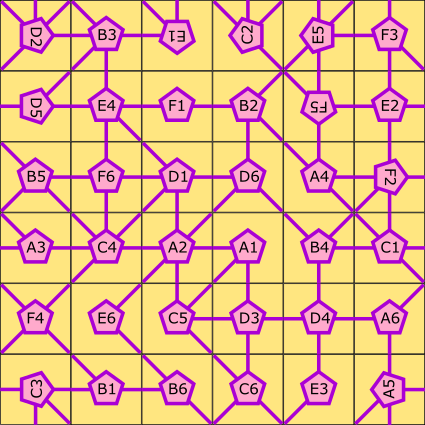 all edges which connect two tiles of the rectangle - are counted, and that number is squared. 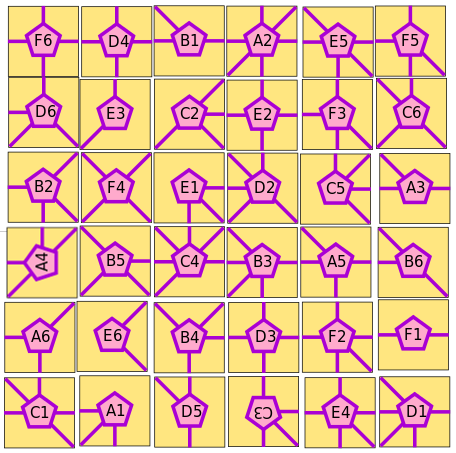 If any tile was rotated from its original position, a value has to be subtracted from your score: This value is the square of the total number of 90° rotations used (compared to the original tile-set.) For example, if one tile was rotated clockwise by 90° and another by 180°, then the total number of 90° rotations is 3, and the penalty is $3^2=9$. 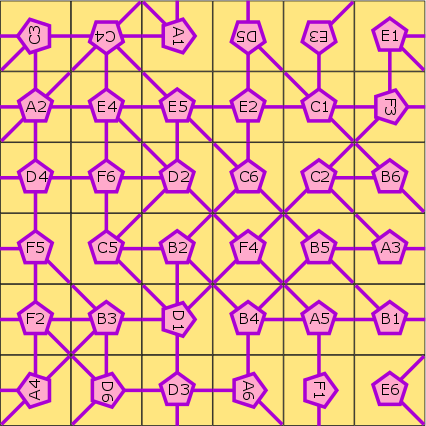 Bonus score: Solutions which include all 36 tiles in a square are ranked by the number of 'separate networks' they form - the less networks the better, i.e. 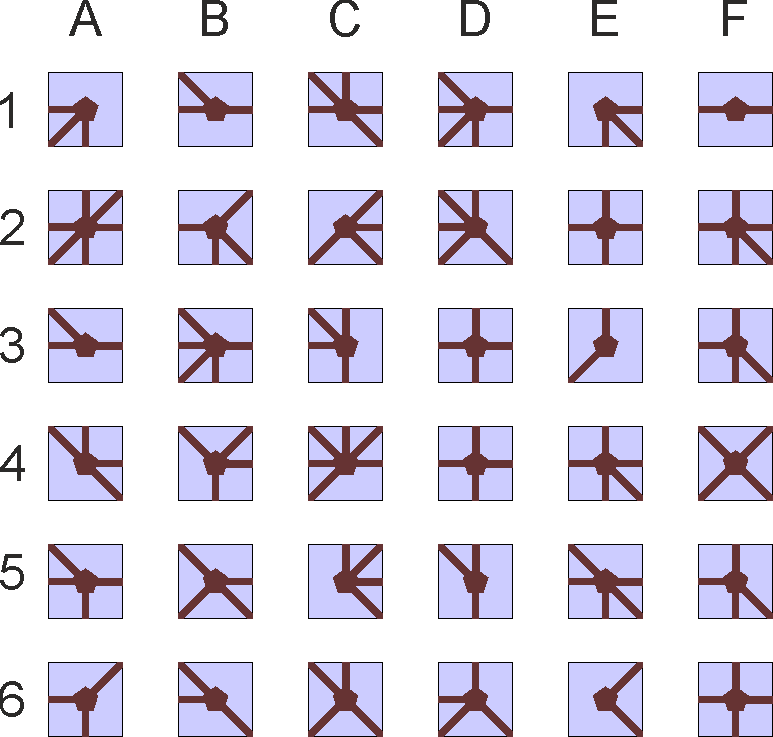 the ultimate solution additionally forms a single "brown" network. Find the highest possible score for this puzzle. The bottom-right corner tile points towards the central tile, which isn't pointing back. Thanks again to Sleafar for the image! A big thanks to Sleafar for the Inkscape image! It made my life a lot easier when playing around with this. Not the answer you're looking for? Browse other questions tagged visual polyomino network or ask your own question.